Belizeans turned out in large numbers to greet the Prime Minister of Belize, Honorable Dean Oliver Barrow and his wife Mrs. Kim Simplis-Barrow to Los Angeles, California on August 13-15, 2010. Since becoming Prime Minister in 2008, this is Mr. Barrow’s fourth official trip to the United States visiting with Belizean communities in the States. Almost thirty years since Belize became an independent country, Barrow is the first Prime Minister of Creole descent. Before becoming Prime Minister, Mr. Barrow was first elected to the House of Representative in 1984 as a United Democratic Party candidate in the Queen’s Square electoral division, and served as Minister of Foreign Affairs and Economic Development from 1984-1989 under the UDP administration. and National Security, and Attorney General. He was elected party leader in 1998 and on February 8, 2008 Mr. Barrow was sworn into office after his United Democratic Party won a landslide victory in Belize’s general election. Since the Independence of Belize there were many visits to Los Angeles by the head of state, but this particular reception felt like a down home event. Prime Minister, Dean Barrow, and his Ambassador to the United States of America and Permanent Representative to the Organization of American States, Mr. H.E. Nestor Mendez, were a class act and they made Belizeans proud. They conducted themselves in such an inclusive manner that they didn’t need any Secret Service protection, although such protection was in over abundance. The Dinner/Dance reception at the U.S.C. Radisson Hotel Grand Ballroom was a class act. There were forty-four tables, with the First Family and their guests occupying the table at the forefront of the hall. There were also a number of people who had to stand around as there was not enough room to accommodate the crowd that showed up. 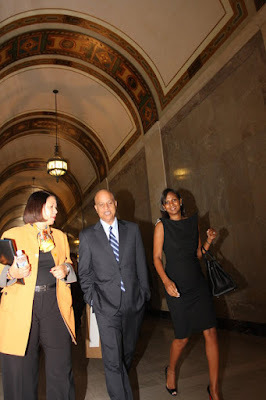 The First Family and the Ambassador arrived at the hotel in a motorcade through a pre-designated back entrance at 7:45 pm and were ushered into an opened elevator that took them up to the 2nd floor and into a waiting room. Their grand entrance to the ballroom was met with applause from a cheerful and roaring crowd. The Consul General of Belize, the Hon. Roland Yorke rallied the crowd a bit before introducing the Ambassador, who then gave a short speech calling on the Prime Minister to address the audience. Dinner was then served to the sound of soft music. 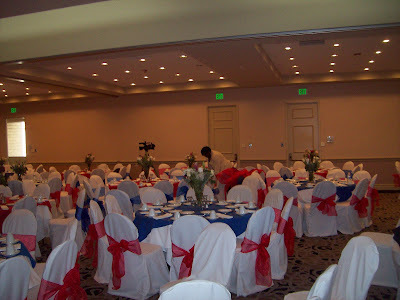 After the dinner, a program was held which paid tribute to members of the Belizean community who had past, but contributed to Belizean communities in Los Angeles and in Belize; Family members received plaques in their honor. Several individuals were present to receive recognition certificates for their contribution in the local Los Angeles community and back home in Belize. After the award ceremony, Prime Minister Barrow and his wife retired into a large waiting room where they took pictures first with families who received awards earlier in the evening and then the general public. A long line of Belizeans queued up to have their pictures taken with the first family. The first family re-entered that Ballroom to the jamming sounds of the “New Wave Band”, they mingled with the crowd for a while, and then joined them on the dance floor, with the Secret Service detail tip-toeing to watch their every move. The P.M. and his wife, danced to several reggae and socca beats seeming to be having a good time, before they retired for the night. The attendance for the event was predominantly older Belizeans, with a sprinkling of Belizean youths. L.A. retired City Councilman, Robert Farrell, was also present at the event. 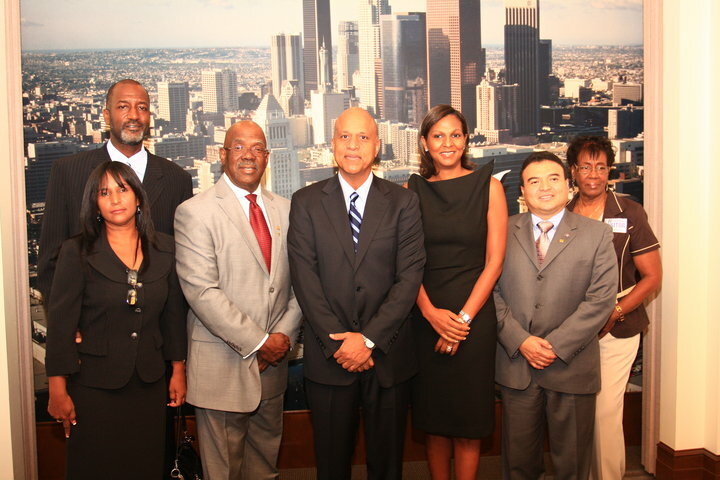 Linda Lewis-Brown, who is also the Honorary Consul in Los Angeles was in attendance. Other attendees I’d like to mention included several of my fellow villagers from Crooked Tree; Melford Tillett, Yvette Perriot and her sister, Lorna (Lee) Richards, Penelope Tillett, Morland Kerr and his wife Helen, Mrs. Tricia Logan nee Jones, who is the Receptionist/Secretary at the Belize Consulate in Los Angeles. 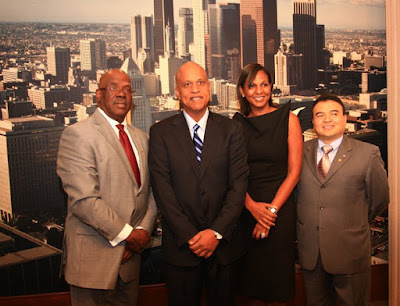 At the Town Hall Meeting, held the following day, the Consul General of Belize, Hon. 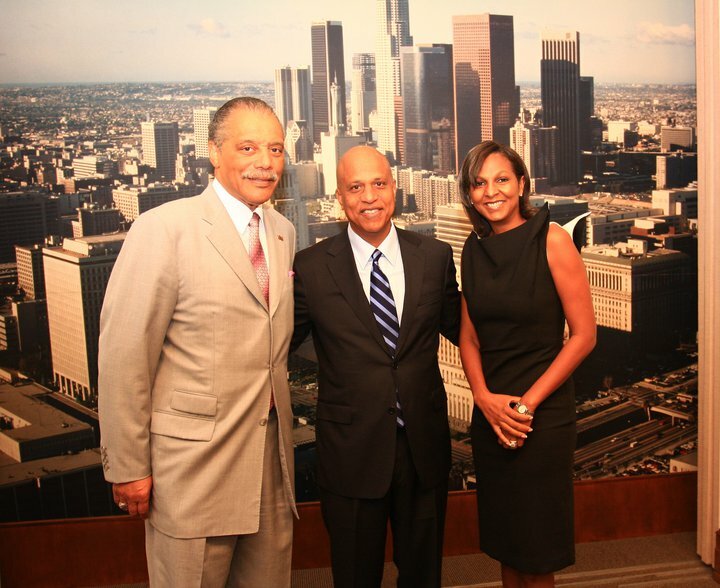 Roland York welcomed the First Family and Ambassador Mendez. Everyone arose to their feet for the playing of the American National Anthem followed by the Belizean National Anthem. The Consul General then called upon the Ambassador to address the audience, who in turn introduced the Prime Minister. The Prime Minister addressed several important issues before opening the floor for questions. He stated that since his administration took office, he was able to convince the World Bank to resume the granting of loans to Belize, which was nonexistent under the old administration. He assured Belizeans that he will be leading a clean and transparent Government and would not show any tolerance for corruption under his governance. The P.M. also spoke of the negative effects the gang situation is having on the tourism industry in Belize, and expressed his displeasure over foreign reporters portraying Belize in the worse possible light, especially a recent film on the gangs in Belize City. He said that he is pleased to report that the various gangs in Belize have decided to join in the “Restore Belize” programmed called I AM BELIZE. It was launched on August 3rd, 2010 to educate, promote and encourage citizens to adopt social values and behaviors that will transform Belize into a safe, peaceful and productive home for all residents and visitors alike. In the meantime, he said that legislation is underway that would authorize the authorities to tap into the cell phones of suspected gang members and other criminal elements, similar to what is already being done in the U.S.A. and other countries. The meeting ended without incident and on time at 5:00pm. A planning committee, chaired by Hon. Roland Yorke was organized to plan the different activities that took place. 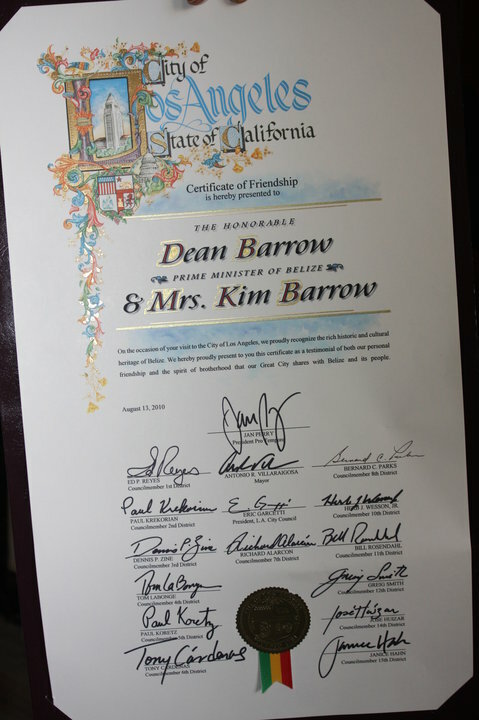 All in all, Prime Minister, Dean Burrow's trip to California was a success in bridging the gap between Belizeans at home and abroad. Wow, looks and sound like it was a momentous occasion. I am impressed by the number of belizeans that supported the event. I am glad that there was time set aside to address the crime situation at home because it is so sad to listen to the news everyday and hear of our youths and innocent bystanders being killed mercilessly. Great job on the reporting of the occasion!